While production on the highly-anticipated sequel IT Chapter Two is still underway in Toronto, actress Jessica Chastain took to Instagram to seemingly reveal that she has wrapped filming her scenes as the adult Beverly Marsh for the film. 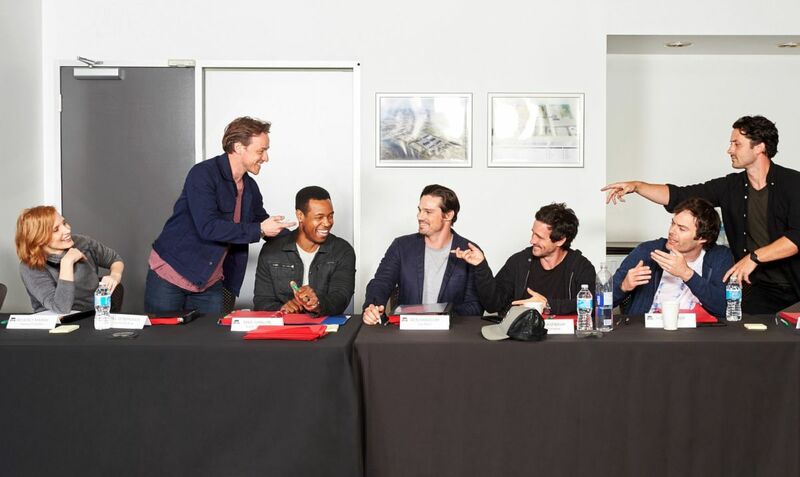 The main cast of IT: Chapter 2 also includes James McAvoy (X-Men franchise, Split) as Bill, Bill Hader (Barry, Trainwreck) as Richie, Jay Ryan (Beauty and the Beast) as Ben and James Ransone (Generation Kill) as Eddie, with Andy Bean (Here and Now) as Stanley Uris, Isaiah Mustafa as Mike, Teach Grant (Altered Carbon, Damnation) as Henry Bowers, Jess Weixler (The Son, Chained for Life) as Bill’s wife, Xavier Dolan (Boy Erased) as Adrian Mellon, Will Beinbrink (Queen of the South) as Tom Rogan and, of course, the return of Bill Skarsgård (Atomic Blonde) as the clown Pennywise. The rest of the young cast of IT, Finn Wolfhard (Stranger Things) as young Richie, Jeremy Ray Taylor as young Ben, Jack Dylan Grazer (Shazam!) as young Eddie, Chosen Jacobs (Castle Rock) as young Mike and Wyatt Oleff (Guardians of the Galaxy) as young Stan will all be returning for IT: Chapter 2. IT debuted in September of last year to the tune of $123.1 million on opening weekend, the highest opening weekend ever for a September release, for a fall release, and for a horror movie. It clocked in just $9 million behind Deadpool for the second-highest opening for an R-rated movie. The film earned over $700 million at the worldwide box office, making it the highest-grossing horror movie of all time. The second part of IT is written by Gary Dauberman from the book by Stephen King, and will be directed once again by Andy Muschietti. The sequel will hit theaters on September 6, 2019. The post Jessica Chastain Wraps Filming On IT Chapter Two appeared first on ComingSoon.net.